We love this bridal portrait of Jamie photographed on her wedding day at The Oaks at Salem in Apex, NC. She was such a stunning bride and we especially loved her lace neck on her wedding dress. 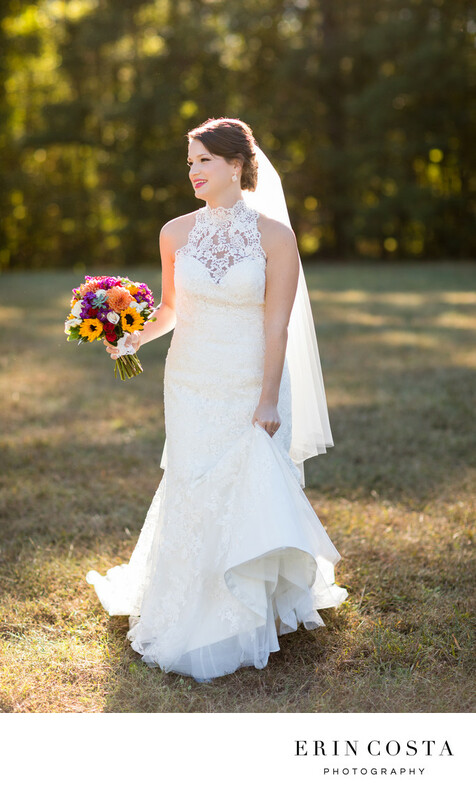 Her wedding bouquet created by Tre Bella was a mix of sunflowers and bright fall colors which were perfect for her outdoor fall wedding. Location: 6304 Old Jenks Rd, Apex, NC 27523.